Shiitake (Lentinula edodes, houževnatec jedlý, “queen of mushrooms”, XiangGu (fragrant mushroom)) is a wood-decaying mushroom from the Polyporaceae family. It can be grown even in domestic conditions on tree trunks, stumps and logs. In nature, it also grows on this substrate, especially on deciduous trees. This mushroom does not grow in the Czech Republic. Shiitake has a scaly, light to dark brown cap, with a diameter of about 5-12 cm and which grows on a stem at about 3-5 cm in height. The pulp of the Shiitake has a solid consistency and strong aroma. 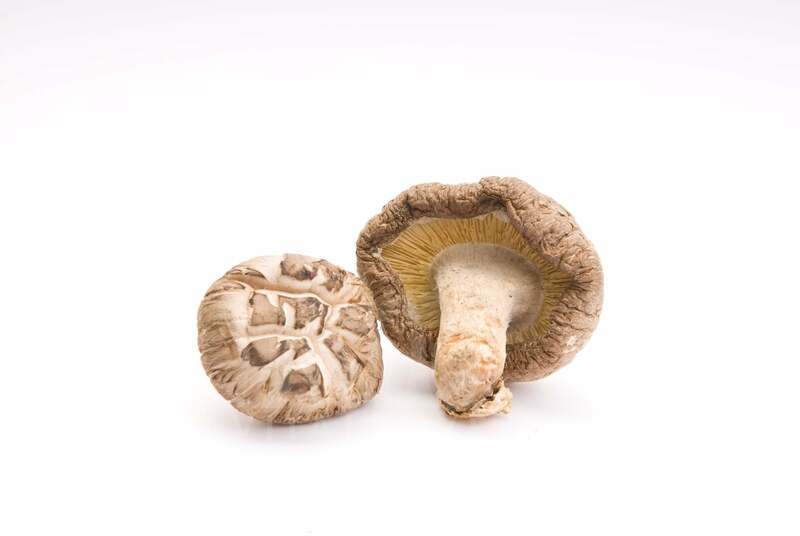 This makes it an ideal ingredient for culinary dishes, especially in Asia, where the mushroom grows even in the wild. Asian countries are also the largest Shiitake producers. Cultivation, and especially the use of this mushroom for healing purposes in Asia, especially in China and Japan, has a very long, literally thousand-year tradition. Japanese writings from 199 AD describe how the Kyusuys, a Japanese tribe, brought Shiitake as a gift to the Japanese emperor. Shiitake is also referred to as an elixir of life in the historical writings of traditional Chinese medicine. Texts from the Sung Dynasty (960-1127) even speak of the beginnings of cultivation and purposeful growing of this mushroom. Another text written by Wang Cheng in 1313 specifies the technique of cultivation. Nowadays, the mushroom is commercially grown around the world. It was first described and classified for the Western world in 1877 by M. J. Berkeley, who named it Agaricus edodes. This name for Shiitake lasted until 1976, when it was assigned by D. Pegler to the genus Lentinula. We can end the Shiitake story by stating that its name - the elixir of life - is true and correctly describes its effects and impact on the body.